People who do not want to spend a few days going back and forth the dental clinic for teeth replacement: same day dental implants in Los Algodones, Mexico are now available. If you are suffering from teeth loss and do not want to get dentures to replace your missing teeth, traveling to Mexico for teeth implants may be a great idea. 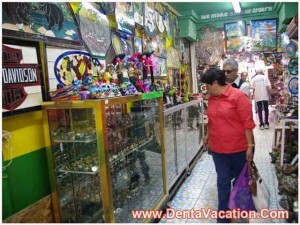 Going to Mexico to get inexpensive dental work is common for people from the US and Canada. The proximity of Mexican cities like Los Algodones, Tijuana, Juarez, and Mexicali that offer high-quality dental work is encouraging more North American citizens to cross the border for a dental vacation in Mexico. Most medical tourists to Mexico use routes to border cities like Mexicali, Tijuana, and Juarez. Californians need only drive to cross the San Diego-Tijuana border, and people near El Paso, Texas can get to dental clinics in Ciudad Juarez in less than an hour – perfect for getting same day dental implants in Mexico. Los Algodones, Mexico is a border town that is only 8 miles south of Yuma, Arizona. The border area is officially part of California, and most people park their cars in one of the many parking lots and just walk over to cross to Mexico. Dental centers that offer immediate load dental implants in Los Algodones, Mexico provide transportation services for visiting clients. Compared to dentures that are removable, dental implants are more comfortable and last for a longer time. It is also comforting to know that there will be no embarrassing incidents of dentures just slipping or falling while you are talking or laughing. Tooth implants are generally more expensive than dentures, but considering that the cost of one day dental implants in Algodones, Mexico is less than 50% of what they cost in the US, you will get an excellent deal. Why Go to Los Algodones for Immediate Load Dental Implants? Of course, some patients may choose to go to more exotic locations on a dental trip that can double as an adventurous holiday. Some people can also get teeth implants in India or to other dental locations like Thailand and South Korea. Proximity – Mexico is so close to the US and does not require US and Canadian citizens to spend a lot of time travelling. Most dental patients can cross in the morning and go back to the US in the afternoon with a new and better smile. Cost Benefit – Because of Mexico’s lower cost of living, the prices are low compared to dental procedures in other countries. Expertise – Mexico is the top manufacturer in North America when it comes to medical and dental devices. There is also a long list of dental surgeons who have trained in the US or Canada, and are used to treating patients of different nationalities. English skills – Because it is right beside the US, dental surgeons and their staff usually speak fluent English and are able to communicate very effectively and professionally with patients and their families. These are the major reasons why Mexico’s dental tourism industry is now bigger than ever. For more information about our partner clinics that offer same day dental implants in Los Algodones, Mexico, or for information about our partner dental clinics in other locations, please ask for a quote by filling out our form. For more information on Same-Day Dental Implants in Los Algodones, Mexico, submit the FREE estimate-request form on the right.